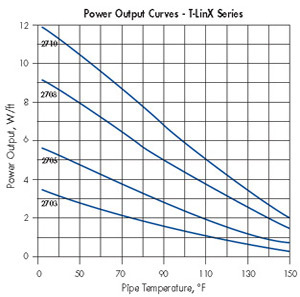 The T-Link series of self-regulating heating cable is designed to supply a specified amount of heat at any point along its length in direct response to local temperature/thermo-dynamic variations. These Heat Trace Products, LLC. 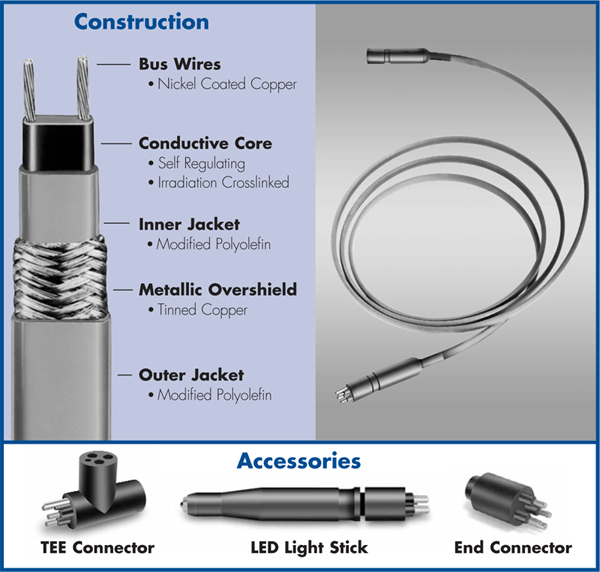 cables were developed to simplify the installation of heat tracing systems. 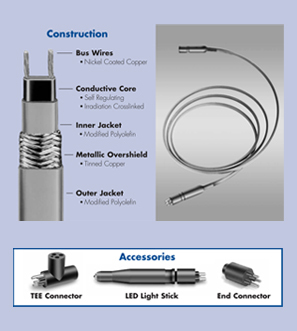 T-Link heating cable runs are preterminated for ease of connectivity and installation. 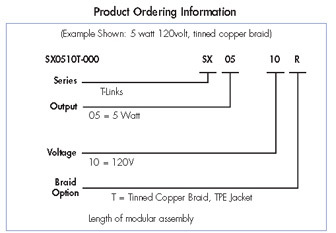 All components in the system are waterproof to insure long life at connection and termination points.